Click on photo for preview and/or ordering. BRAND NEW. JUST RELEASED IN MARCH 2019.
the ties that bind - and the lengths to which he will go to protect them. “EVERYTHING I LOVE IN A NOVEL IS IN THIS STORY. 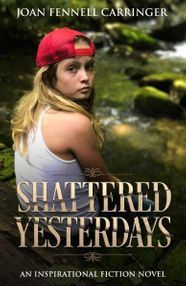 A FANTASTIC READ!” – From a review by Grace Watson, Florida. For a quick glance (viewing only) of all covers click here. The Bible tells us God's provided angels to watch over us. 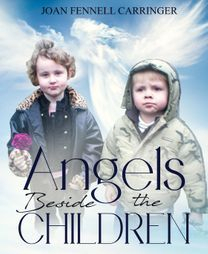 Read some wonderful stories about angels helping children. book above (beneath the MORE tab) to preview. Have you ever watched the former TV series HIGHWAY TO HEAVEN and TOUCHED BY AN ANGEL? you might want to try an angel Jack novel. SO…. WHAT IS AN ANGEL JACK NOVEL? Please click HERE or on the ANGEL JACK BOOKS tab above for the answer! All books are listed in the drop-down list below the Angel Jack Book tab. If you're in the mood for some inspirational poetry, click POETRY here or on the above tab. Have you ever read inspirational science-fiction? The 7-book series is like reading a big beautiful grown-up series of fairy tales! romance and magic, as well as a surprisingly beautiful touch of inspiration. There's also a stand-alone futuristic novel In the Midst of Tomorrow (beneath the MORE tab). Or look at some inspirational fiction at its best with Touching a Dream (beneath the MORE tab). Please browse at your leisure and enjoy! I would love to hear from you! Would you take a moment to email me from my Contact Page? TREAT YOURSELF TO A BLESSED READING EXPERIENCE!